Among a large number of functional protective workwear fabrics, cotton woven FR fabrics are relatively high quality and low price. 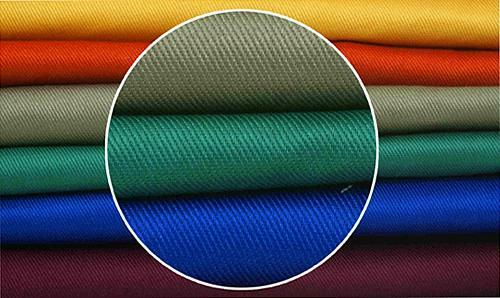 Its variety is complete: including plain weave - canvas, crepe, twill - 2 / 1, 3 / 1, 2 / 2, broken twill, change twill, double-sided twill, etc., satin has satin drill ,sateen, double sides satin. Flame-retardant methods for cotton woven fabrics include THPC flame retardant and CP flame retardant and disposable flame retardant. Cotton woven FR fabric, can pass the national standard GB8965 A B C listed level 3, and the European Union EN11611, EN11612, EN14116 and other standards, the United States NFPA2112 and other commonly used standards can be easily passed. THPC FR fabrics previously contained formaldehyde below 300PPM, but now the formaldehyde removal process can reach 200PPM, 100PPM, 75PPM or less, and can be produced in large quantities, which greatly meets the environmental protection requirements of FR fabrics. After the special design of the cotton woven flame-retardant fabric, the arc-proof level can also reach a higher level. According to the thickness and strength of the fabric, the appropriate fabric can be selected to achieve the arc-proof level 1, level 2 and level 3. The main disadvantage is: if the FR fabrics with a thickness of less than 150 grams ,the strength will be relatively low, and the flame retardant effect will be deteriorated due to the thinner fabric. At the same time, in the case of mass production, the formaldehyde value of FR fabrics is difficult to control below 50 PPM. PREVIOUS POSTWhat are the Different Test Results for Flame Retardant Fabrics Using Different Test Methods?